Tours of Cato, the first town in Crawford County are hardly new. Susie Stelle started helping John Spurling organize Cato Fall Tours in 1985. Stelle is president of the Cato Historic Preservation Association. With Spurling, she started giving informal tours of the town, located northwest of Arcadia for several years prior. 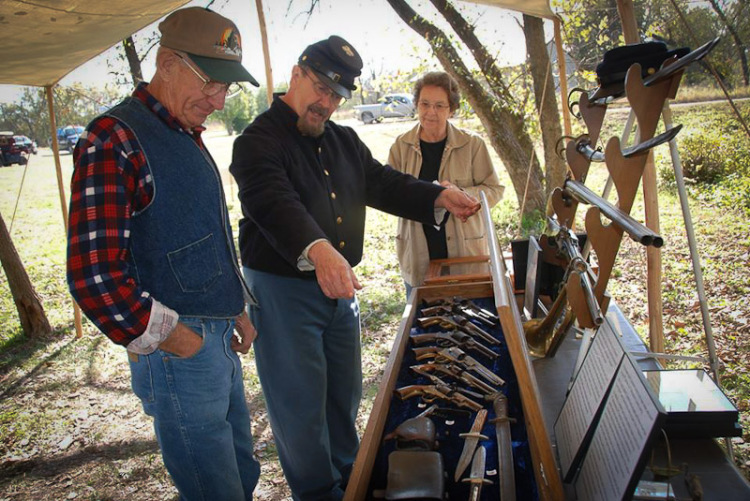 Organizers of the upcoming Cato tour this Saturday, Nov. 3, plan to take visitors back to the mid-1800s through music, history, and re-enactments. Activities on Saturday will begin at 9 a.m. and continue through the day. Ralph Carlson, a member of a music group called “Old Fuss and Feathers”, will perform in the church at 9:30 a.m. There will also be presentations in the restored 1869 rock school by Anna Portwood Swank and her sister, Elizabeth Portwood Thompson, and husband Jaime Thompson. Souvenirs and homemade baked goods will be available at the Cato Store, headed up by Stelle. Proceeds from the tour will benefit the continued restoration and preservation of the Cato School and Cato Christian Church and this year’s newly constructed cabin, donated by the Coonrod family. At noon, there will be ham and beans cooked by Bob “Buck” Rowland of Arma. The meal also includes cornbread. There will be an open fire for those who choose to bring their own hot dogs. Drinks will be provided, all for a nominal fee. At 12:30 p.m. a quilt raffle will take place. The quilt was donated by Sue James of Galveston, TX. Sue’s husband, Dale, attended all eight grades of the one-room Cato school. At 1 p.m. hayrides are offered by Joe Bournonville to visit area cemeteries and other sites related to Cato’s history. On Friday, Nov. 2, approximately 600 youngsters will have a field day, organized by Katharine Spigarell. School children from Uniontown, Fort Scott, Girard, Arma, Frontenac, Pittsburg and new this year, Liberal, Mo. will come to Cato. 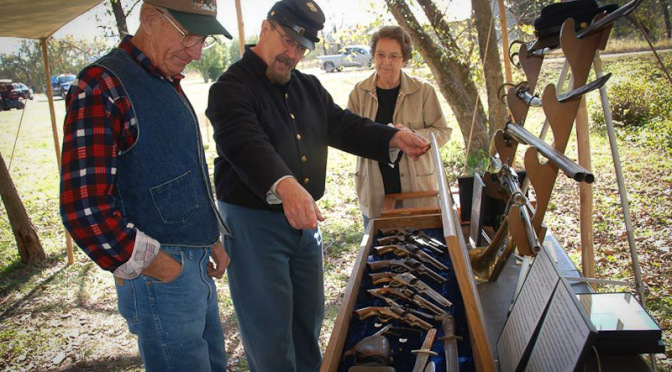 A tour guide will direct groups of kids to various stations to observe living history exhibits such as blacksmithing, wagons and farming, schoolhouse games, area history, civil war weaponry, and Native American culture. The Cato HPA has a Facebook page and website located at www.catoschool.com. Directions to Cato, KS: On 69 Hwy., turn west on 720 Avenue, one mile north of the Arcadia turn-off (one mile south of the Bourbon County line. Go west one mile, then turn north for one-half mile, then left one mile to Cato. Susie Stelle, Mary Portwood, Richard Coonrod, Lily Coonrod, Jerry Coonrod, Ralph Carlson, Joe Bournonville, Anna Portwood Swank, Katharine Spigarell, Marilyn Coonrod Flagg, Elizabeth Portwood Thompson, Floyd Feezel, Donna Hashagen, Bob George, Jamie Thompson, Buck Rowland.